Ready to take a dump on Donald Trump? A lot of people do, and Daydream has come up with a game that allows you to do just that. 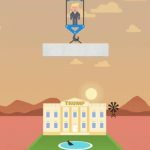 That’s right – just a few days ago we told you about a game that helps you get Bernie Sanders get to the White House by eating sandwiches, and now, we have Trump Dump, a new casual game for Android and iOS. Daydream doesn’t get to the specifics, simply saying that you have to “beat the wall (and) dump on trump,” and following up with a disclaimer. 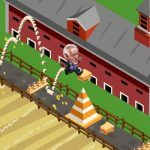 In terms of the game’s mechanics, we can tell you that you’re playing the role of a bald eagle who has to fly through Trump’s walls and poop on the Donald himself. Like many games of its kind, this title can get quite addictive, and it’s mostly because mastering it takes some time. 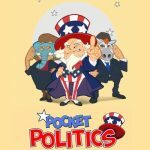 So if your past few games have been nothing but crap, no pun intended, we can help you get out of that bind with some Trump Dump tips and tricks. Unlike many other casual games, Trump Dump’s mechanics do not involve endless gameplay. Instead, you’ll be playing through several levels, with each one harder than the last. For example, you only have to fly over one wall in Level 1, two in Level 2, three in Level 3, and so on. Daydream doesn’t say how many levels there are exactly, but as you keep on beating levels, a new one will be unlocked. Trump Dump plays a lot like Flappy Bird, but you shouldn’t misconstrue the controls as being as Flappy-esque as that title. Instead of moving up, your bald eagle will actually move down if you tap. This could throw you off at first, but with a little familiarity, you should easily remember that tapping makes the eagle bounce down. Learn how to time your bounce properly, and you’ll find yourself completing more levels than what you thought was possible. The amount of points you score in a level determines how many times the bald eagle poops on Donald Trump. So if you scored only three points, the eagle will take three dumps on Trump. Five points means five dumps, 15 points means 15 dumps, and so on. So if you really want to stick it to the businessman turned TV celebrity turned presidential hopeful, you should try to score as many points as possible on any given level. 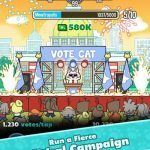 Thinking of getting rid of the ads just because they throw you off your game? You can always do that and play with your Wi-Fi or cellular connection off, or with your device on airplane mode. But we still recommend keeping them on, because the ads aren’t too pushy. Sure, they’ll interrupt you in the game, but they do take some getting used to. Play the game long enough and you probably won’t notice the ads are in there. For now, this is our collection of tips and tricks for Trump Dump. If you know additional hints for this game, don’t be shy to let us know!